Another historic house here in Victoria is up for sale and this time we’re taking a peek inside the Rappahannock House. 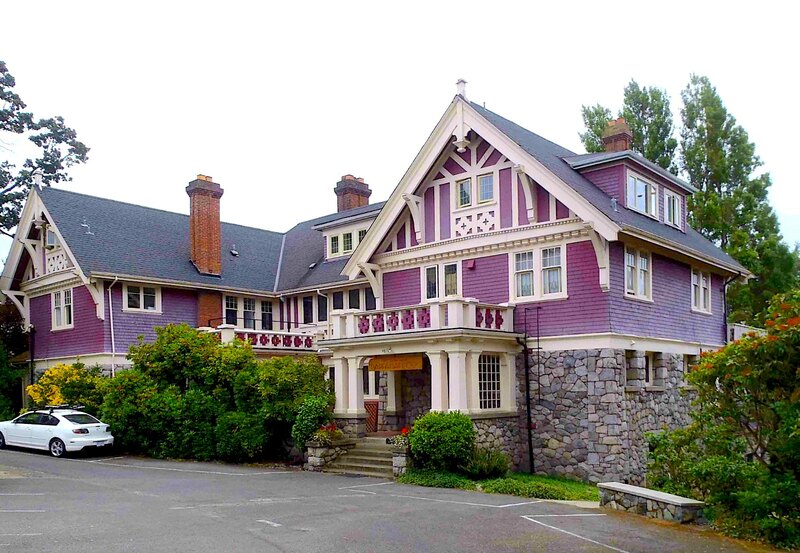 Situated on 1595 Rockland Avenue in Victoria, and it was built way back in 1910. Canadian architect Samuel Maclure is behind its design and the contractor who built it local boy George Calder. Rappahannock used to be a single family home up until 1954, after then it was converted into 9 apartments by Maurice Troup which are still rentable to this day. The only difference now is that there are 11 legal suites. The home is apart of Victoria’s heritage registry, and you’re owning a piece of history if you buy this gorgeous Tudor manor. What makes this home special is its landmark rock walls, the completely original stained glass windows and the masterful and detailed millwork throughout. This house comes with craftsmanship you just cannot get anymore, and it must be protected. This sale is a revenue property, there are currently 11 units rented out here and each has its own charm and space. The home itself is located on a .6-acre private corner lot in the Rocklands are and most people from here have definitely driven by. So in total, 11 bedrooms and twelve bath spread out over 9,791 square feet. There is also a separate carriage house which has future development potential as it comes with R1-A zoning. Lots of potential and I hope the new owners take care of this gem, there aren’t many left. It’s currently on the market for $5,288,000 CAD and it’s listed with Jenny Wu of Macdonald Realty Victoria. If you would like to inquire about this unique heritage opportunity you can contact her at 250-589-1788 to learn more.